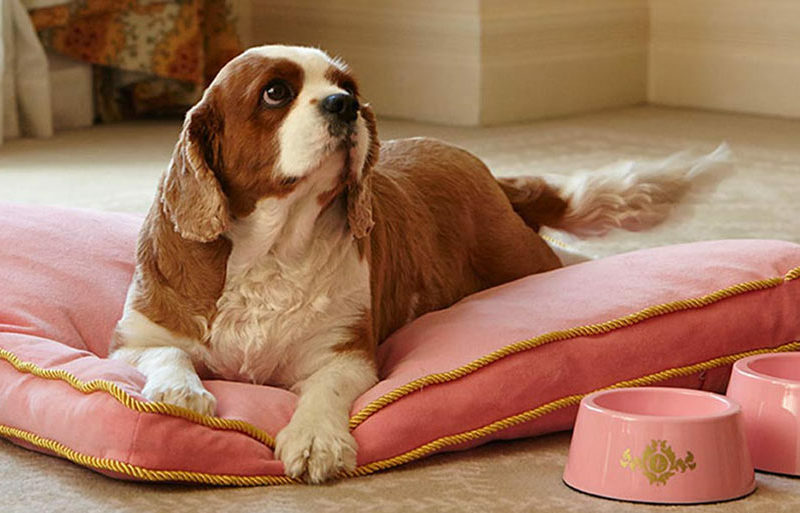 The plush beds given to pets during their stay at The Langham, Sydney. Price: from $24 a night. Delicate campground is situated in Goolawah Regional Park near Crescent Head and is a great, affordable getaway for dog lovers. There’s plenty of luscious scenery for walks and play time, as well as interesting campgrounds and beach access to Delicate Nobby for surfing for human guests. It’s a remote campsite, so please come prepared. If you wanted to treat yourself to a luxury night or two away, you no longer have to choose between that and your beloved pet! 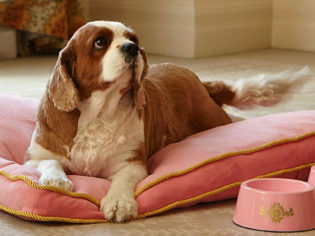 For just $120 extra per night, guests at The Langham Sydney can bring their pooch (up to 20 kilos) or the cat for a stay! They’ll even receive their own plush bed to match yours! Pet-sitting and dog walking services are also provided. For a perfectly secluded getaway, you can’t go past a treetop stay in the stunning Dandenong Ranges National Park. Now, not all accommodations offer pet accommodation, so it’s worth calling ahead to check before you book. This is an incredibly popular option for pet owners and is fenced off, so perfectly safe for your pooch. Pups enjoying their special doggie cakes and treats at Must Love Dogs B&B, Rutherglen. Price: from $179 per night. Built in 1840, quaint cottage Must Love Dogs B&B features two luxury suites created with dog lovers in mind. Upon arriving you’ll be greeted with muscat and chocolate for the humans – and special doggie cakes and treats for your furry baby. Pet sitting is also offered for free during your stay! Price: from $32 per night for two people in off peak season. Described as an ‘amazing wildlife and geological rich oasis’ stretching over 112 hectares of Tamborine Mountain, Tamborine Mountain Caravan Park like no other. Though dogs must stay on their leads at all times, they’re permitted through caravan and camp sites. If you’re looking for a little luxury and amenities that you want from a summer holiday, you no longer have to sacrifice your pet by leaving them in a kennel. Saltwater Villas in Mooloolaba offer waterfront villas where pets are allowed to stay with you. They’re fenced in and perfectly safe for pets, with pet sitting available, so you’re free to enjoy the pool, the day spa or water sports. Pike River Woolshed Villas in South Australia. Set on 15 acres of riverfront at the gateway of the Riverland region of South Australia, Pike River Woolshed villas overlook the mighty Murray and Pike Rivers. Offering majestic views and landscapes, it’s the perfect place to spend quality time with your loved ones (including the furry variety!). Not many people will be aware of this, but the Hilton Adelaide will happily welcome you and your pet to come and stay, as long as they’re domesticated and under 34kg. They must also be on a lead or in a carrier whenever in public areas. The hotel will charge you a $500 refundable deposit in case of any accidents that may occur – so allow for plenty of outside walks! Price: sleeps 16. From $750 a night. Yallingup holiday houses in South West and The Cape in rural areas of the wine growing region of Margaret River. All holiday houses are on acreage in the Yallingup rural area, conveniently located with beaches and Dunsborough only 5-10 mins away and major wineries and restaurants within 5 mins. They also sleep up to 16 people, making it perfect for a group stay with up to two dogs allowed. Hi Tami, The Airbnb site specifies pet friendly so we think that trumps House Rules. Thanks, editor.